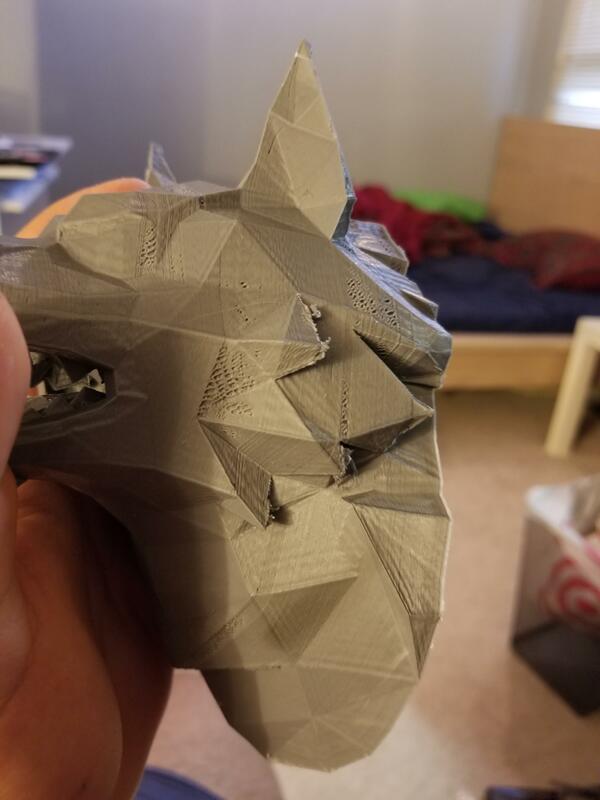 Hi there, I just printed a wolf and a lot of the layers as seen in the picture are weird and not connected. Has anyone else experienced this? if so, how can I fix it? It's called underextrusion and happens if you print too cold (too viscous) or too fast (in volume not print head speed). It could be your printer is faulty or it could be you are above the expected max speed for your printer.